Cultural Guest House i Cusco, Peru: Reservér nu! 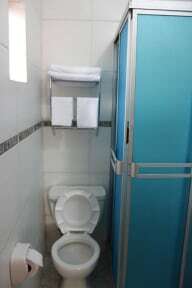 Cultural Guest House Bed & Breakfast is located 3 blocks from the main square. We offer 5 spacious and comfortable rooms for a very pleasant stay, each room has a private bathroom, guests have access to a shared kitchen. We provide free tourist information and car rental. Cultural Guest House Bed & Breakfast is located half a block from the national postal service 3 blocks from the main square. In addition, some of the finest attractions of the city such as the Cathedral of Cusco, the Regional Museum of Cusco, the Sun Temple of Koricancha and the Sol Avenue (the most relevant commercial street) are just some minutes away on foot from our facilities. 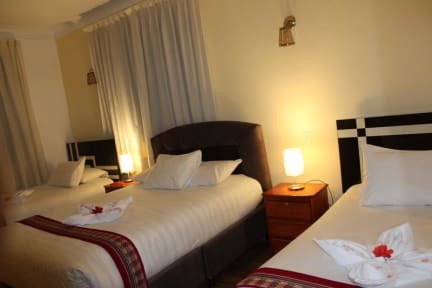 Cultural Guest House Bed & Breakfast has spacious and comfortable rooms, with capacity to accommodate groups between 12 to 15 guests, families. We also serve breakfast based on local products included in the rate of each room. Please contact us we will gladly help you so that your stay is unique in the land of the Incas.